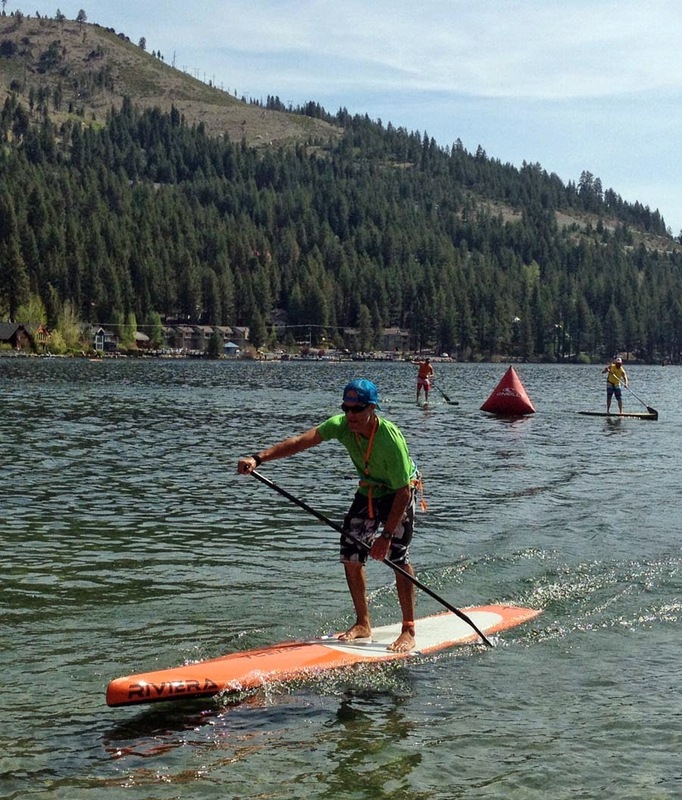 Donner Lake Paddleboard Race 2014. 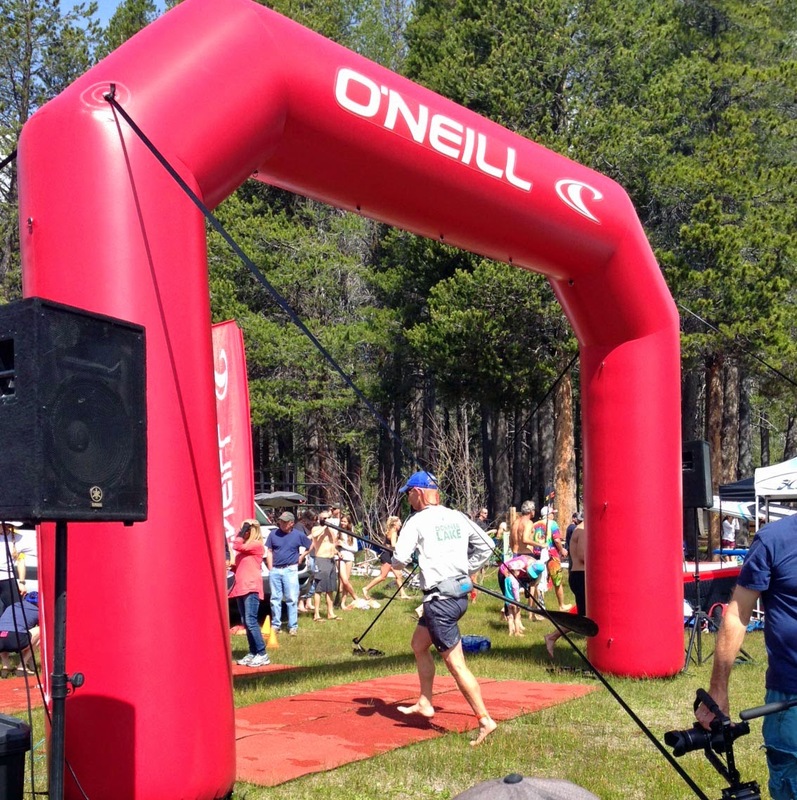 The 2014 paddleboard season opened today with the 7th Annual O'Neil Donner Lake Paddleboard Race. The 5 mile race began at West End Beach with ideal weather conditions. It was a sunny, warm, and windless day. 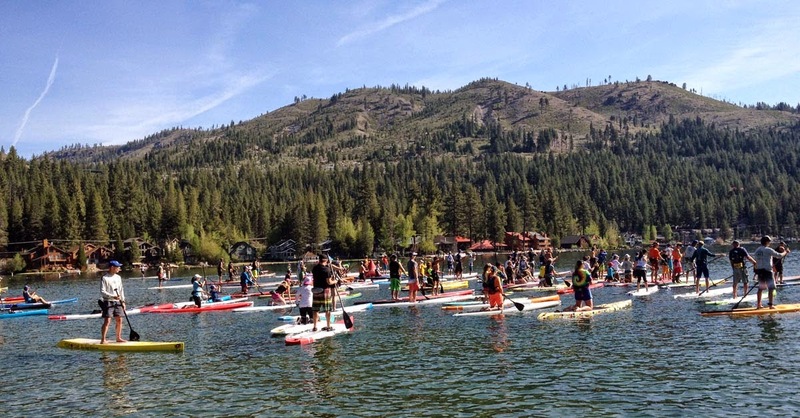 Nearly 175 athletes of all ages and abilities showed up for the 9:00am 2-wave start on Donner Lake. The first wave of paddlers got off to a smooth start as the next wave of Stand Up Paddlers looked on. When the second wave was about to start, the safety boat buzzed the starting line, sending out a wake that pitched several elite paddlers into the chilly water. From my perspective at the back of the pack, everyone had a good time and enjoyed the good weather and friendly atmosphere of paddleboard racing. A free meal, two shirts, and a raffle ticket completed a good day on Donner Lake. Times were fast in the calm water. Five Elite men completed the 5 miles in under 45 minutes. Robert Macias at the finish. 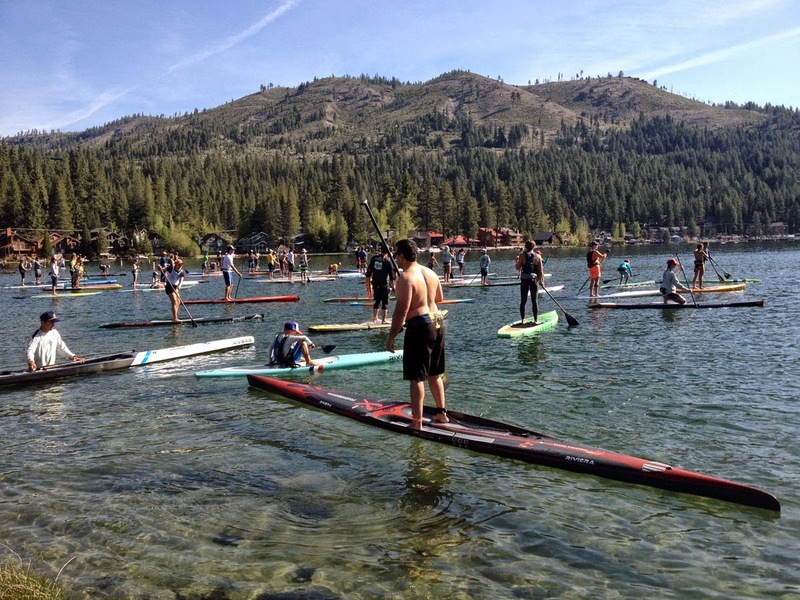 The Donner Lake Paddleboard Race is part of a three race series called the O'Neil Tahoe Cup race series. The next race in the series is the Jam From the Dam on July 12, followed by the Tahoe Fall Classic on September 14. Sponsors have put up a $20,000 cash purse for the series. Official results should be posted on line "Coming Soon" at Tahoe Cup.